Gallstone pancreatitis occurs when a gallstone causes an obstruction in the pancreas duct. The area affected, the sphincter of Oddi, is a muscle found at the opening of the bile duct that leads to the small intestine. This results in the obstruction of any material attempting to travel from the liver and pancreas. The gastroenterology condition is potentially life threatening, so patients require prompt diagnosis and treatment. Blood tests are taken to identify inflammation, which is indicative of gallstone pancreatitis. Additionally, patients will typically need to undergo a CAT scan to determine how severely the pancreas is inflamed. If a CT scan is unable to identify the presence of gallstones, it may be that the gallstones are too small, in which case an abdominal ultrasound is the next step in diagnosis. Dr. Yamini will take every care in ensuring that diagnosis is thorough, so appropriate treatment is provided to the patient. The treatment of gallstone pancreatitis follows a methodology of providing fluids intravenously. The patient should avoid all other fluid and food intake until otherwise directed by Dr. Yamini and his team. In severe cases of the condition, treatment is elevated to include intravenous nutrients when oral intake is not possible after 5 to 7 days. Additional treatment options such as pain therapies may also apply on a case-by-case basis. 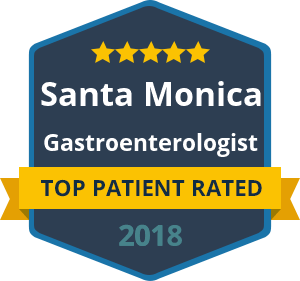 If you present with symptoms such as abdominal pain, fever, nausea and vomiting that are sudden in onset and severe, Dr. David Yamini can provide excellence in diagnosis and care in the state of California. When dealing with a potentially life-threatening condition, you will want to trust your treatment to a specialist who recognizes the symptoms and can quickly arrive at an accurate diagnosis. Receiving the right treatment from a specialist will make all the difference when it comes to finding relief from pain and discomfort. The team at Dr. David Yamini’s offices are friendly, understanding and will ensure that you feel relaxed and every need is understood throughout consultation and treatment. Do not suffer from the pain of gallstone pancreatitis unnecessarily – look to Dr. David Yamini to provide fast and effective relief. If you are experiencing the sudden onset of abdominal pain that is severe or frequent, contact the offices of Dr. David Yamini right away.